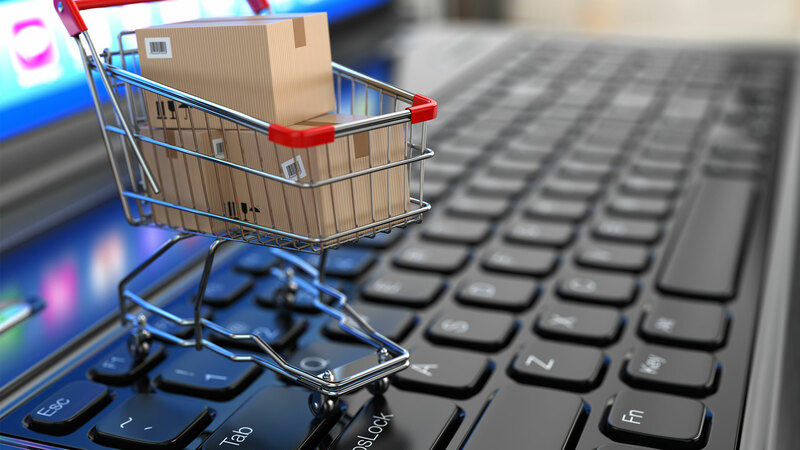 ECommerce is the business of selling physical products through an online store. When most people think of eCommerce, the first thing that pops into their head is Amazon. In the first quarter of 2018, Amazon generated over $51 billion in revenue! In 2017, eCommerce represented 13% of all retail sales worldwide. By 2020, eCommerce will be a $4.1 trillion industry. Needless to say, the eCommerce opportunity is HUGE. And you only need a small slice of it to make a significant profit. The best part about this business is that you can build it from home without a warehouse or massive inventory. One of the things I like most about eCommerce is its scalability. Conducting 100 transactions is not much different to conducting 10 transactions. Best of all, you can set up an eCommerce business faster than ever before. And that’s just to get the building set up! You haven’t even stocked inventory or opened your doors yet. As you can see, starting an eCommerce business is so much easier. Everything is automated. And once it’s set up, an eCommerce business requires virtually no upkeep. You just need to understand and implement the right system. However, most people who get into eCommerce go about it the wrong way. 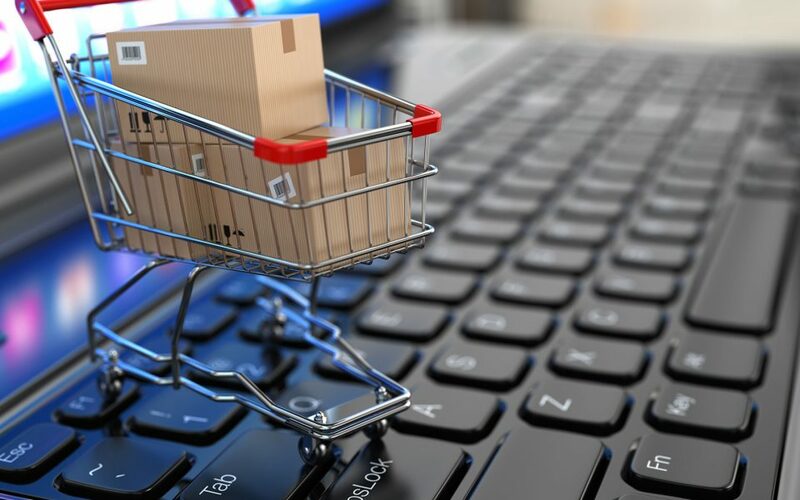 In this article, we’re going to focus on some potentially fatal mistakes that many people make when starting an eCommerce business. And, more importantly, how to avoid them. Yes, it may sound easier to build your business using Amazon or Shopify. But there are some major drawbacks that almost no one tells you about. In recent years, Amazon has become inundated with sellers who don't follow the rules. Because of this, Amazon has had to become more strict in allowing who can sell, and what can be sold. For example, sellers must be approved to sell clothing, shoes, handbags, automotive items, and many more types of products. The list of categories requiring approval keeps growing, and getting approved isn’t easy. Secondly, Amazon owns the customer. This means you cannot market to new customers you acquire in the future. On top of this, your products can become restricted and unsellable at any time. Amazon works closely with manufacturers and brands. If a brand decides they don't want third-party sellers listing items on Amazon, they can deem them restricted at any time. This means a significant amount of your income can disappear overnight. 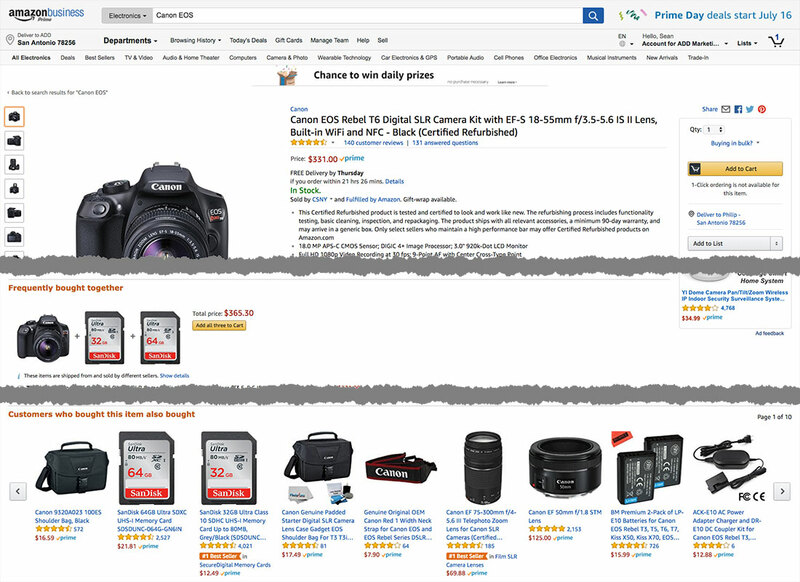 When you’re selling through Amazon, you also have no price control. By building your business on Amazon, you risk getting caught in pricing wars because customers can check out your competitors on the same site. This is a problem because you won’t always be able to compete on price with other sellers. That or, if you do win, you will have lowered the price to the point where you make little to no money on it. Shopify has a good reputation, a slick marketing campaign and lots of high-profile endorsements. The biggest problem with Shopify is the monthly cost, which can quickly put you in a hole when you are just starting out. Did you know that Shopify actually has its own App Store? There were numerous occasions where I wanted to do something pretty basic with my Shopify store, and I was required to pay for and install a third party app from their App Store. Don’t get me wrong, I love tools that can make my life easier, but the fact that Shopify is lacking in such basic functionality, to begin with, is a MAJOR red flag for me… and it should be for you, too. But the biggest problem with all of this is that these apps are built by third-party developers for the Shopify platform. This means they are rarely updated, constantly breaking, and trying to get tech support is an absolute nightmare. In some cases, you can be waiting days, weeks, or even months for a reply. Meanwhile, your store is down and you’re losing out on sales. Personally, I don’t want my business to be at the mercy of another company. This isn’t even a true business because there is no real ownership or control. In order to build a sustainable business, we need something that we have control of. With the Sellosity eCommerce system, we don’t rely on other people’s platforms. In fact, you don’t even need a store! A funnel is essentially the rebirth of the online store. You see, in contrast to an online store—where your customer has multiple product options to choose from—someone visiting your funnel has only two options: buy or don’t. Having this ability to direct your customer’s focus leads to increased sales and profits. Not to mention that we have full control of the process from beginning to end! Pick an upsell (related, higher-priced product). The beauty of this business model is that these funnels are very easy to set up and can be deployed in under 10 minutes. Plus, there are ZERO technical skills required. Want to see LIVE how I deploy a funnel, import products and test an order in under 10 minutes? Click here to register for a free training and discover the 3-step system I used to build a $5.5 million eCommerce business without Amazon, Shopify or spending money on inventory. One of the biggest misconceptions people have about starting an eCommerce business is that they need to spend money on inventory. Holding inventory is a huge upfront cost and requires a lot of space, depending on the product. This is a completely unnecessary risk that we do NOT need to take. There’s simply no need to buy expensive inventory, own a big warehouse and take on the massive risk of products not selling. Buying and holding inventory is a thing of the past. Smart entrepreneurs don’t do this. This whole process can be outsourced and still be highly profitable thanks to the power of dropshipping. Let’s say you are selling a product for $10 and your supplier charges $5 for it. When you receive an order, you collect the $10. Then you simply pay the $5 to your supplier, who ships the product directly to your customer. Your profit margin is the $5 difference. Essentially, you are acting as a middleman between the supplier and the customer. This is the least risky way to start an eCommerce business because you don’t have to spend money on inventory or take on the risk of it not selling. Plus, you never have to see, touch or ship the product yourself! The most important part of building an eCommerce business is to choose products that will actually sell. Don’t assume that a product will be profitable just because it looks cool. The product you choose will either ensure success or make it near impossible to make money even if everything else is set up correctly. That’s why I recommend choosing a product that is centered around a common passion or hobby. Here’s the best way to do this. 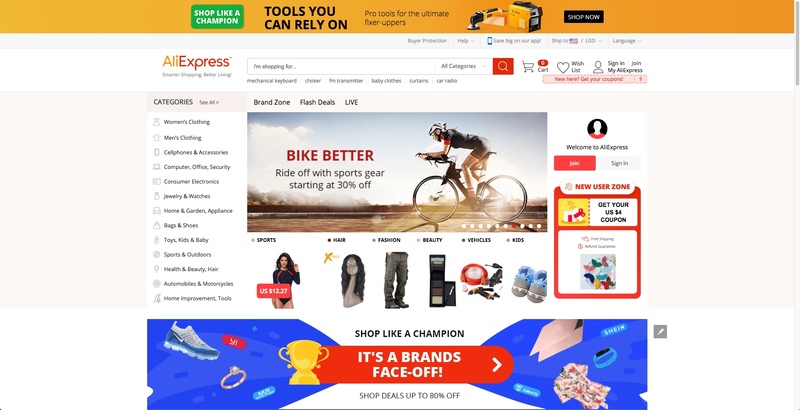 First, browse reputable manufacturer or wholesale websites such as AliExpress. 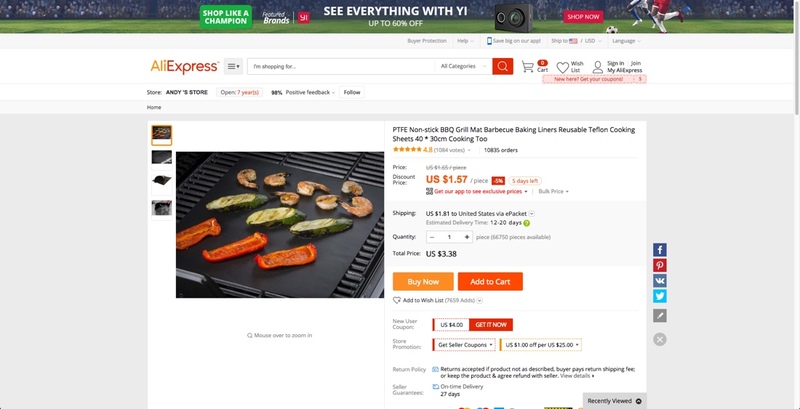 If you’re not familiar with AliExpress, it’s basically a site where you can find inexpensive items that are mostly imported from China. Do as much homework as possible. Check the reviews and seller feedback. Next, you want to ensure that the product will provide good profit margins. It’s helpful to check other sites (i.e. Amazon, eBay) to get an idea of what price range the product can be sold for. Also, think about any potential headaches. For example, it’s probably not the best idea to start an eCommerce business selling lingerie. There are many factors that can make it hard to do business including advertising policies, sizing, returns, etc. Is this niche a fad? Are people in this niche willing and able to spend money? Are there any legal factors to consider before selling this? What are the potential problems with selling in this niche? Would people buy this online? The product below looks like it could be a good option. It’s something people will definitely buy and has good reviews. Increase the average transaction value per customer. Increase the number of transactions per customer. Would it shock you to find out that McDonald’s makes almost no money at all on a cheeseburger sale. The cheeseburger is the front-end product, but it’s the fries and coke upsell that built the Golden Arches. It costs McDonald’s $1.91 to get a customer in the door. They make $0.18 on a $2.09 burger sale. Don’t just stop at offering your front-end product. Offer an upsell. Best Buy sells laptops and plasma TV’s (front-end products) on wafer-thin margins you can’t resist and makes it up on warranties, installation, and Geek Squad support (upsells). Amazon maximizes average transaction value with their “Frequently Bought Together” upsell offer along with many other options for increasing the average order value. On average, around 25%-30% who buy your front-end product will also buy your upsell. If a store owner isn’t collecting email addresses, they are leaving money on the table. Don’t get me wrong, social media is great. But there’s a reason why your message is five times more likely to be seen through email than Facebook. One of the biggest reasons to collect email addresses is that cart abandonment rates are at an all-time high. According to Baymard.com, 69% of shopping carts are abandoned on average. That’s nearly seven out of every 10 carts! That’s why abandoned cart email automation sequences can be a MAJOR driver of sales for eCommerce business owners. Not only that, but collecting email addresses gives you the ability to sell to your customers time and time again… at no additional cost. 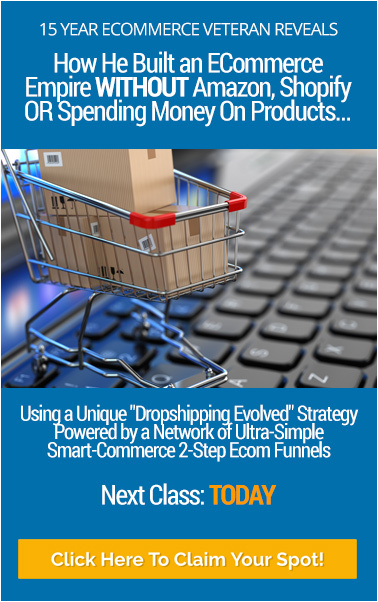 After I made these 5 simple shifts, my profits soared to over $1.2 million per year and that was just ONE e-commerce business. The best way to avoid the common mistakes in any type of business is to learn from someone who has already done it! So instead of wasting time and money trying to figure everything out on your own, follow a proven system. 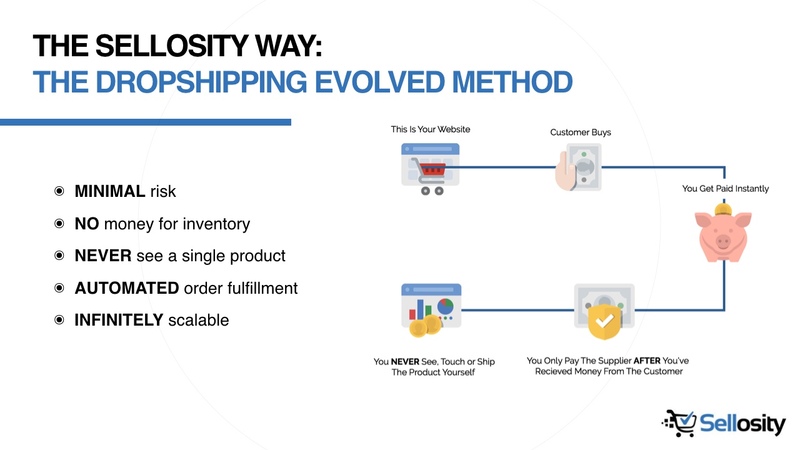 This week, I’m hosting a FREE training discussing the Sellosity eCommerce system in even more detail. I highly encourage everyone to take advantage of this free training. Plus, how to do ALL of this with as little as a $25 investment! ECommerce success is within reach right now! It took me 15 years to learn the hard way. This is your opportunity to capitalize on everything I learned. Click here to register for this free training and take the first step to own a profitable eCommerce business.